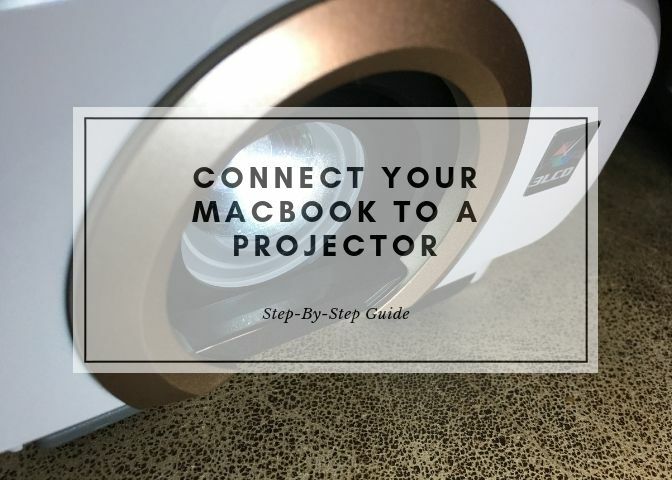 Connecting your Mac to a projector allows you to extend your monitor to a screen as your primary display, or mirror what is happening on your screen to an audience. You'll need a high definition multimedia interface (HDMI) cable to connect your MacBook to the projector. HDMI is the most common interface standard used to transmit video digitally through an HDMI cable, and is compatible with HD content, including Blu-ray. The key to connecting your Mac to a projector is understanding the ports on your computer. Many MacBooks do not have a built-in HDMI port, but you can still connect with HDMI using a port adapter. If you don't have an HDMI port on your Mac, read on to learn how to find the correct HDMI adapter for your computer. Apple publishes user guides for its products to help identify which ports and adapters you will need. You can also look at the Apple port shapes and symbols guide or enter your Mac's serial number on the Apple Tech Specs page to guide you. Here's an overview of the types of ports found on MacBooks. HDMI Port: If you do have an HDMI port on your MacBook, you can connect directly to a projector with the projector's HDMI cord, without using an adapter. The HDMI cable is likely included with your projector. USB-C or Thunderbolt Port: You will need to purchase the Apple USB-C Digital AV Multiport Adapter. Mini Display Port: This port looks similar to the thunderbolt port but has a monitor icon, rather than the thunderbolt icon. Check the Apple port guide to be sure about your specific ports. Plug your HDMI cable, or your adapter into your MacBook port, and connect the HDMI cable. Turn on your projector. Plug the other end of the HDMI cable into your projector. Your projector and MacBook must be powered on when you connect them with the HDMI cable. Otherwise, your MacBook will be unable to find the projector so that you can adjust the settings. You must also slide or open the projector view window. Slide the projector lens to open. Your projector will now display your MacBook screen. Synchronize Your MacBook for Display. Click on the Apple logo > System Preferences > Displays > Detect Displays. From here, select your projector from the drop-down list, if it is not already selected. Click Arrangement and check the Mirror Displays box to mirror your screen to the projector so that your monitor is the same as the projector screen. You can also adjust the color of the display by going to System Preferences > Displays > Color > Projector. Move the brightness slider and click and drag the color wheel to find the optimal effect. What's the Difference Between a Mac and a PC?